I try to support people with whole foods as much as possible, but sometimes it is necessary to use a nutrient to support your health goals. If you are addicted to sugar or refined carbohydrates, now may be one of those times. In this video I share a nutrient that many of us are depleted in that can trick your body into thinking it’s getting glucose so it stops craving glucose (aka sugar and refined carbohydrates). This tip will work for you if you have imbalanced blood sugar. So, if you get 3pm cravings every day for sugary foods, bready foods and caffeine and you are in a slump—this tip is for you. If you get shaky if you skip meals or get “bitchy” when you haven’t eaten—this tip is for you too! Watch the video! Suggested amount for emergency craving: 500 mg sprinkled under your tongue (use powdered form or open a capsule). For restoring systemic imbalance: Two 500 mg capsules (or powder) three times a day between meals until cravings are no longer an issue. For those of us that experience these symptoms, your blood sugar disregulation may be the cause of your sugar cravings and every time your blood sugar drops too low, you will get sugar cravings. Although the quick fix offered in the video will be helpful, you also need to work on the longer-term solution to supporting your health and balancing your blood sugar. And consider joining the Vitality Transformation Blueprint Group to support you to improve your blood sugar balance, kick sugar to the curb, take control of all of your cravings, improve your comfort in the kitchen, skyrocket your energy and so much more. 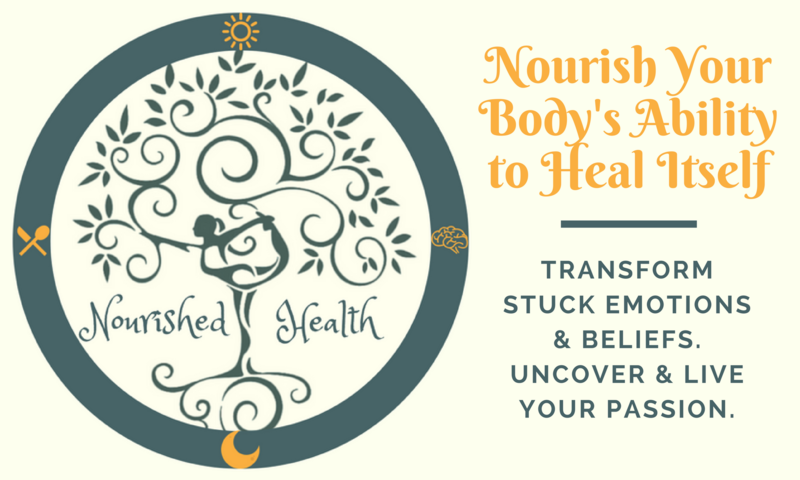 The next in person Denver group starts March 3 and the next virtual group for non-Denverites starts the first week of April (email katie(at)nourishedhealth(dot)com for more info). Please feel free to share your tips below in the comments for “kicking the crack”… crack sugar that is. Would you like to learn more? Check out our free Anti-Inflammatory Video Training Series. Thanks Robine I appreciate you sharing and the great compliment! It is a pretty nifty trick. You are such a library of information Katie! This one was certainly new to me and I’ll keep your ‘dirty little secret’, but after I share it on social media! Lynn Moore, Inspirational Goaling recently posted..It’s 2013, Now What? Great info. Thanks so much. Fortunately I’m not a sugar addict – but I have some friends who are. Will definitely share. That’s great Caitriona! Thanks for sharing! I take l glut amine because of my level of physical activity. Didn’t know of this other connection. L-glutamine really is amazing isn’t it David! Yes, it helps us build muscle and support our immune system when we are very physically active. It also speeds-up our recovery time after extreme physical activity/training. The other really cool thing that I will be sharing in a future article or video is that it helps restore gut integrity after leaky gut which anyone with food intolerances has. How cool is that?!! Ahh thanks Jim! It is so fun getting to work with you through the Vitality Transformation Blueprint Group! Yes, week 2–the get off the crack week is a challenging one for many people, but by week 8 those cravings will be completely gone and crack sugar will be a thing of the past for our group members! You are so fun to work with and I feel so blessed that you joined this program. I’m so excited for the bounty of week 3! In gratitude to you. Great information Katie! Thanks for sharing, I know that’s around the time in the afternoon where I feel like I need a little pick me up. I have never tried this before, but am now interested in giving it a shot! I’ve been on L-glutamine for inflammation; didn’t know it helped sugar cravings that have been wild in recent years. Rosemarie, that’s so interesting about the apple cider vinegar tip–great one! I’ll have to try that out. I agree that the best way to end sugar cravings is complete abstinence from sugar–difficult but it works, the cravings usually go away. The tip in this video is specific for when the craving is caused by low blood sugar. Isn’t l-glutamine amazing! It is so beneficial for restoring gut integrity from inflammation, also supportive to the immune system and helps us build muscle. Such a useful supplement! Great info Katie. I didn’t know about the extra benefits of l-glutamine for muscle building and restoring gut integrity. Dr. Dorine recently posted..Jason Robert Brown Says “I&#8217;m Not Afraid of Anything.” Are You? Oh good! Thanks so much Dorine for the compliment! I plan on doing either an article or a video in the future on the benefit of l-glutamine for restoring gut integrity. Sugar cravings are a real issue for some people. I know that I often find myself wanting something sweet even when I’m not actually hungry. But I try to keep myself from eating too many sweets. For me it’s always been about willpower to not eat something sweet but this would definitely make it easier. Thanks for the tip because if it will help me I’m sure it will help lots of others too. Thanks Lyn for commenting and sharing your own experience with sugar cravings. Will power can be hard for some folks depending on how imbalanced their blood sugar is or if they are very low in serotonin or if they have an overgrowth of yeast or bacteria. I very easily become addicted to sugar and have to be very careful as a result!